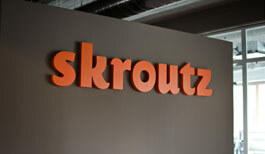 We have some new job openings here at Skroutz.gr and we are looking for talented engineers to fill them. Skroutz.gr is constantly expanding, exciting things are coming up for 2011, but we need your help. Next year is the year before the year earth is destroyed. And like all people, we made a list of all the things we need to have accomplished before we perish. Chris is already in the boring process of updating 800 templates to comply with the new html escaping layout but we are eager to use all the new stuff. Engines, Instrumentation, Arel etc. Its going to take some time but the new Rails and all things coming up are definitely worth it. We have a few thousands test LOC written with Test/Unit but RSpec is so much better we can't resist the temptation, plus we now have the experience to setup a CI and testing framework that will work for us. Our catalog is getting pretty big. We have some basic AI tools but there is a lot of room for improvement. How about image recognition or color detection? We never forget to have some fun, and fun almost always leads to production ready deployments. You can apply at admin-at-skroutz.gr and we'll be happy to have a chat. P.S Have a look at our previous post also.